After Bratislava, Vienna and Liège, the Fusion Expo has moved into the centre of Aix-en-Provence, France, receiving hundreds of curious visitors during its first week. With accessible explanations on fusion science, ITER, and the next category of fusion device—the fusion power plant—the Fusion Expo is designed for the general public. The Expo is staffed by members of the ITER Organization, the Cadarache-based Institute for Magnetic Fusion Research (IRFM), and Agence Iter France. Students from ''Seconde'' (14 to 15 year-olds) from the École du Sacré-Cœur in Aix-en-Provence were among the many school groups that have visited the Fusion Expo since it moved into town. "With the ITER project under construction only 40 kilometres away, there has been great interest in the Fusion Expo," observed Michel Claessens, head of ITER Communication. "It has been a terrific opportunity to reach out to the local public and to communicate the importance of the world-scale energy project that is happening in their backyard." Four roundtable discussions have been programmed to address specific aspects of the project. At last Saturday's session on "The Energy Challenge and Fusion," Michel Chatelier, former head of fusion research at CEA; Jean-Marc Ané, a CEA physicist at Tore Supra; and Richard Pitts, senior scientific officer in the ITER Plasma Wall Interactions Section, spoke to a full house, presenting their vision of the future and how they saw fusion fitting into it. Combined with the exhibition, such roundtables provide the public with an opportunity to voice their questions and concerns directly to the actors involved. In this respect, Saturday's discussion was a great success. The Fusion Expo is a travelling European exhibition funded by EFDA and the European Commission that has been operating since 2008 under the responsibility of the Slovenian Fusion Association. 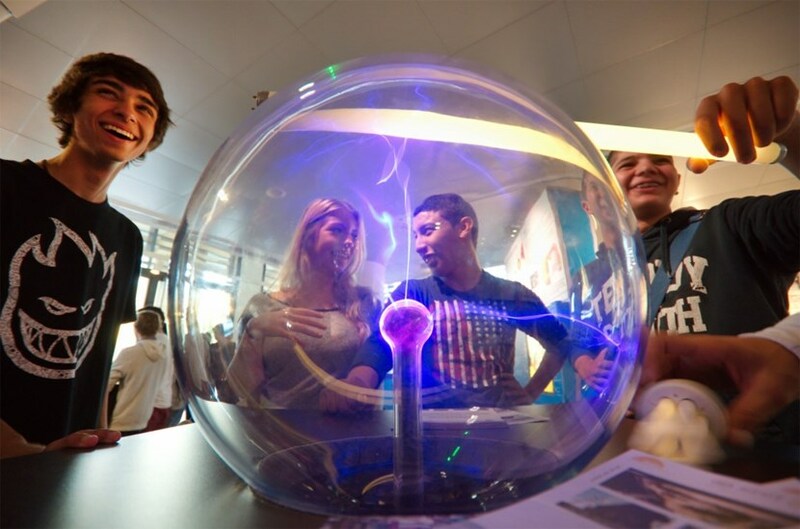 You can visit the Fusion Expo through 28 November at the Office de Tourisme in Aix-en-Provence. Roundtable discussions (in French) are programmed on Tuesday 21 November, 4:00 p.m. ("Provence, A Magnet for Scientific Excellence") and Saturday 24 November, 4:00 p.m. ("Fusion and ITER: Scientific and Technological Stakes"). See also "The power of the Director-General" on the EFDA website.